Just two songs. The classic division of a 7" single. An A side and B or "flipside". Sometimes a single had a double A side, because discjockeys preferred to play both songs or that the band and/or label did not want to make a choice. 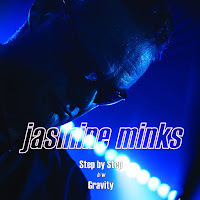 Where the new single of The Jasmine Minks is concerned, had the single been released in 1967 Step By Step and Gravity would undoubtedly have been released as a double A side. Both songs have a deliciously melancholy mood that reflects the best songs of The Byrds and U.S. bands from the late 70s. This gives the two songs a more mellow atmosphere than the powerpop bands of the era gave the world. Add a little R.E.M. in the choruses and a addictive mix presents itself to the unsuspecting listener. 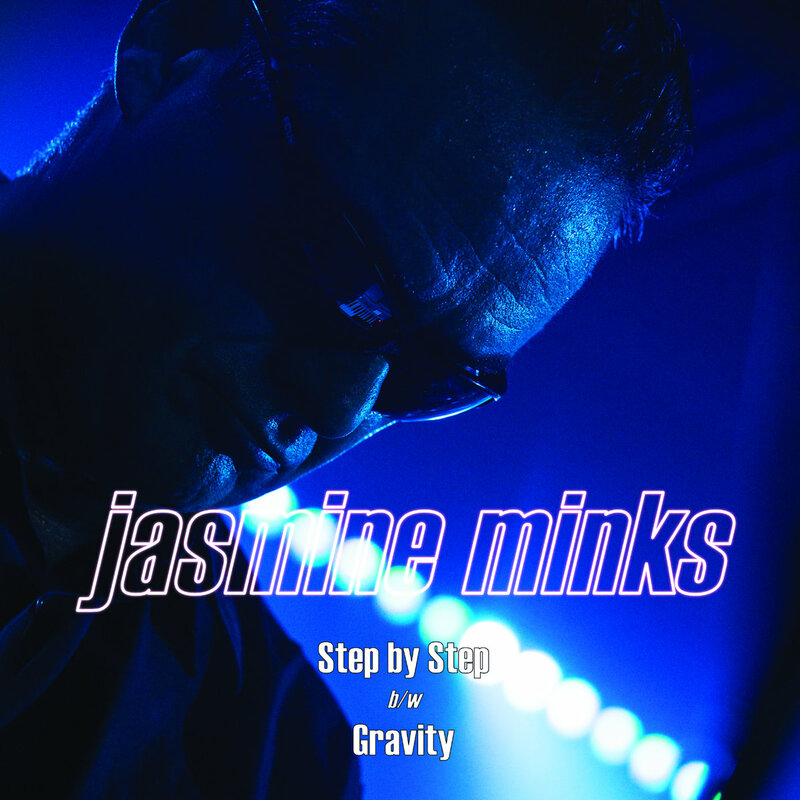 It is here that Gravity beats Step By Step. The song in the verses is simply good. It is in the chorus that the master truly shows himself. The harmonies are impeccable. The 12 string guitar sound is unbeatable, the warm Hammond a beautiful addition. Like The Maureens recently displayed on its new album, 'Something In The Air', a song can just have this little extra with a Rickenbacker guitar added to the sound. 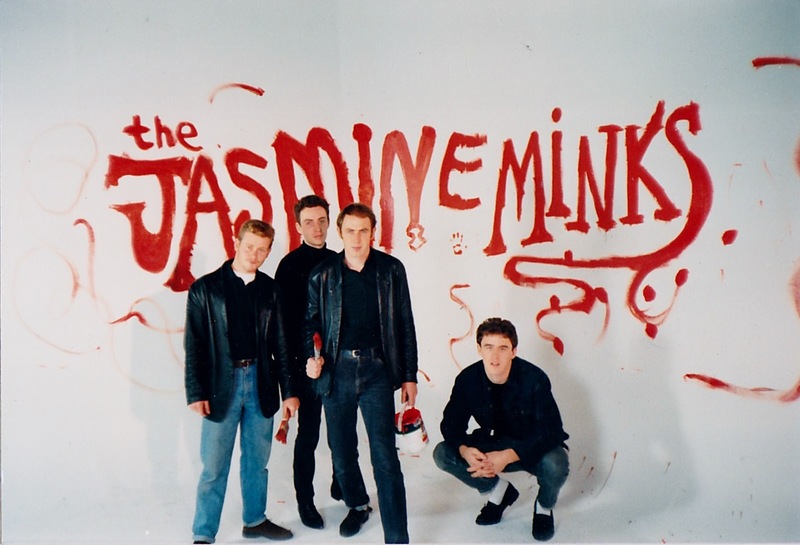 Opening the bio, to find out a little about this band, I learn that they are around since 1983, formed in Aberdeen. Off and on the band released an album or single through the years up to 2019, after releasing several of the first singles on the Creation label. Step By Step being the first one since 2015. And, believe it or not this is a double A side single. Something is right with my ears alright. Because Step By Step also is a song that stands it ground. It has a poppy element. Just listen to how it starts with the jangly guitar and the dit-dit-dit harmonies. The chorus brings in the best of The Charlatans, the instrumental part just as mysterious as the one in Gravity. Where is this leading to?, I ask myself after having heard the solid beginning of the guitar solo. The dark voice of Jim Shephard sort of is the icing on the cake. Dark without darkness, with the harmonies the contrast like the Stipe - Mills tandem in R.E.M is totally underscored. It works so well in these two songs.